Preview images of the latest issue of Famitsu have appeared online, and they reveal some new details about Atelier Lulua: The Scion of Arland. 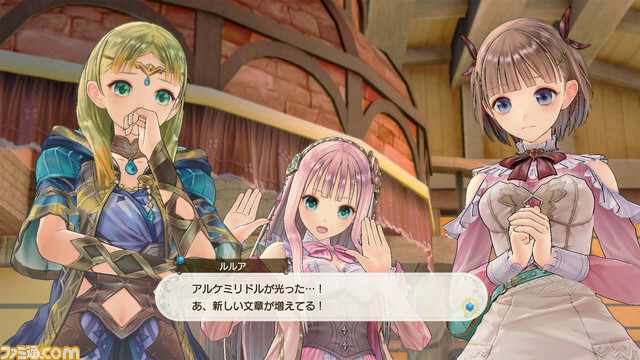 A grown-up Piana from Atelier Totori will appear in the game; in Atelier Totori, she was a young girl. We should have more information once we have access to the full issue of Famitsu tomorrow.